Fly Emirates to experience our world-class service, award-winning inflight entertainment and gourmet cuisine from Kuwait (KWI) to Dublin (DUB). * Fares are inclusive of tax and surcharges, and subject to availability. 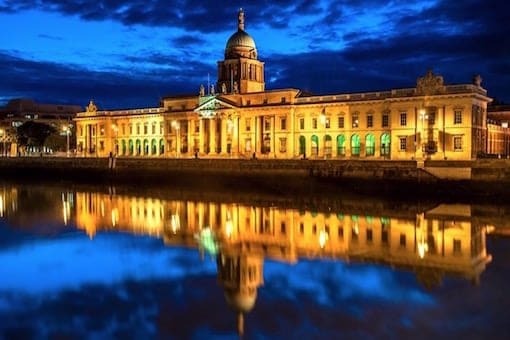 Prepare for your trip from Kuwait to Dublin with our destination guide. Every destination is different. Learn about Dublin before you fly from Kuwait. Find out useful information about Dublin, or search for our local offices at airports around the world. You may need to arrange a visa before you travel to certain countries. Check the latest visa requirements for Dublin. Emirates offers flights to Kuwait (KWI) and 137 other destinations. Below you’ll find a selection of our flight destinations to spark your interest. Get inspired and plan and book your next flight or holiday. With Emirates you’ll experience the most comfortable flight across our cabin classes. And we continually get the best reviews for onboard service. Whether you fly Economy Class, Business Class or First Class, fly with us for a great way to travel.